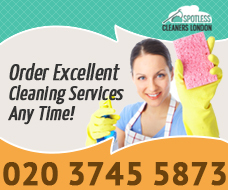 You can hire Spotless Cleaners London to perform for you whatever Cleaning Services you might be in need of! The search for a diligent house cleaning company can take a lot of time, especially if you’re searching for diligent regular house cleaners. Most companies employ people without experience in the field of house cleaning and even people with criminal records. But we’re not like them! Our house cleaning company is diligent, accurate and professional and our technicians are experienced and have clean criminal records – you don’t need to worry even if we stay in your property while you’re away. Contact us and book our professional house cleaning services today. The services we offer are professional and inexpensive. We can sanitize your home completely, eliminate clutter and arrange your home quickly and professionally, and all we need your phone call. 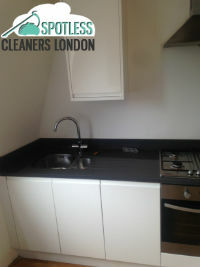 We offer singular and regular house cleaning services only in Soho, Marylebone. We can alleviate you of your chores and all we need to do it is your phone call. No more washing dishes, changing linen and emptying bins. We will vacuum your carpets with our professional vacuum cleaners, polish floors with our Eco-friendly floor cleaner and clean your appliances and furniture thoroughly. We guarantee not only elimination of dust and bacteria, but also of clutter. We will help you keep your home in a presentable condition at all times. If you find our cleaning services unable to meet your demands, we offer creating a list of cleaning tasks that will meet your exclusive demands. We guarantee that whatever you need cleaned, we can clean it. You should choose us and not other house cleaning companies in Soho, Marylebone because of all cleaning companies in Soho, Marylebone, only we perform a thorough background check before employing new technicians. Thus, we ensure the people you let in your home aren’t criminals or ill-mannered. Our cleaning company isn’t exclusively suitable for domestic cleaning – we have a variety of cleaning machines and we’re able to wash carpets, windows, ovens. We can even maintain your garden, just say. Copyright © 2019 Spotless Cleaners London. All Rights Reserved.